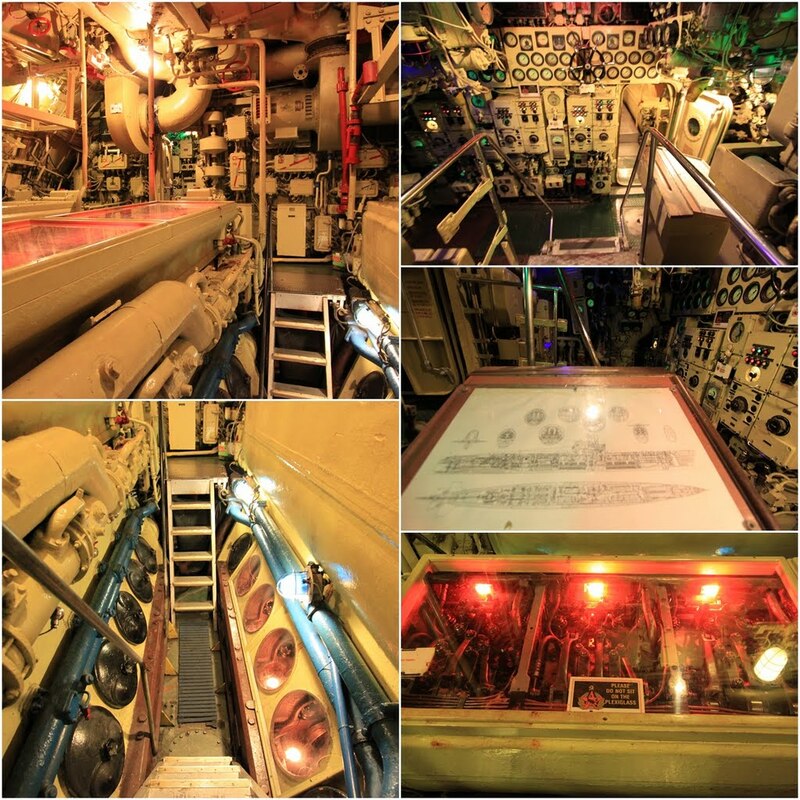 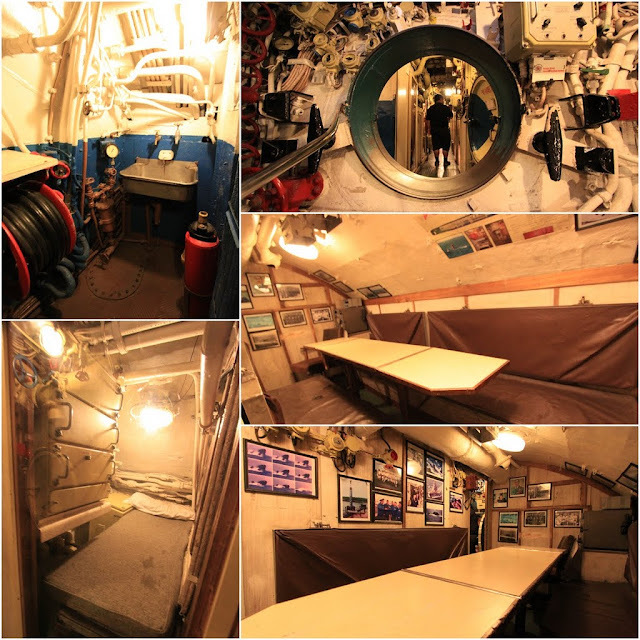 It's a memorable moments for me to be able to participate in the self-guided tour to visit Russian Scorpion Submarine, which is also known as Scorpion Podvodnaya Lodka Project 641 (B-427) Diesel Electric Submarine for the code name. 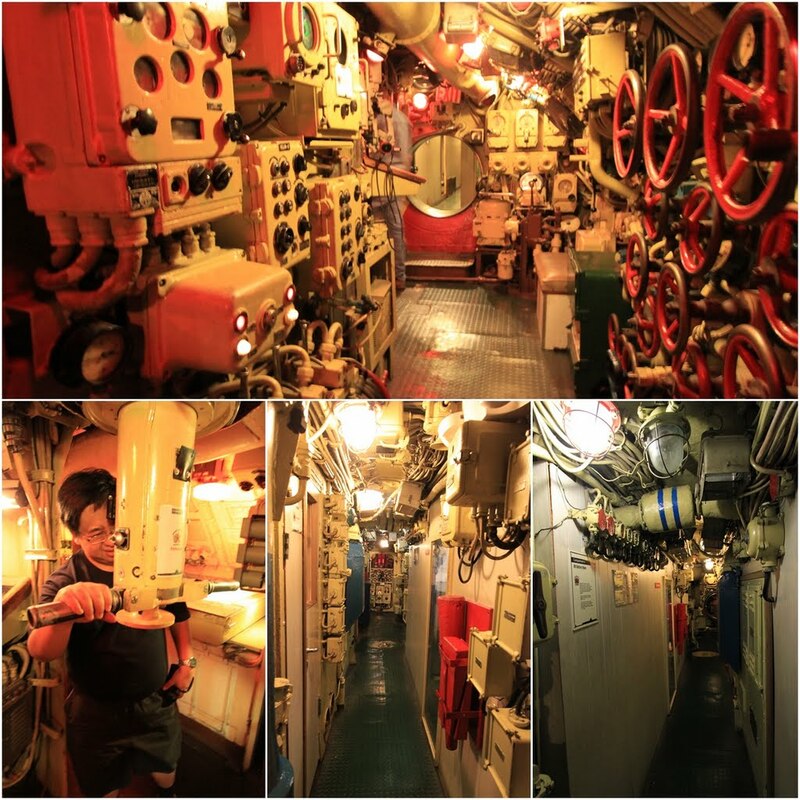 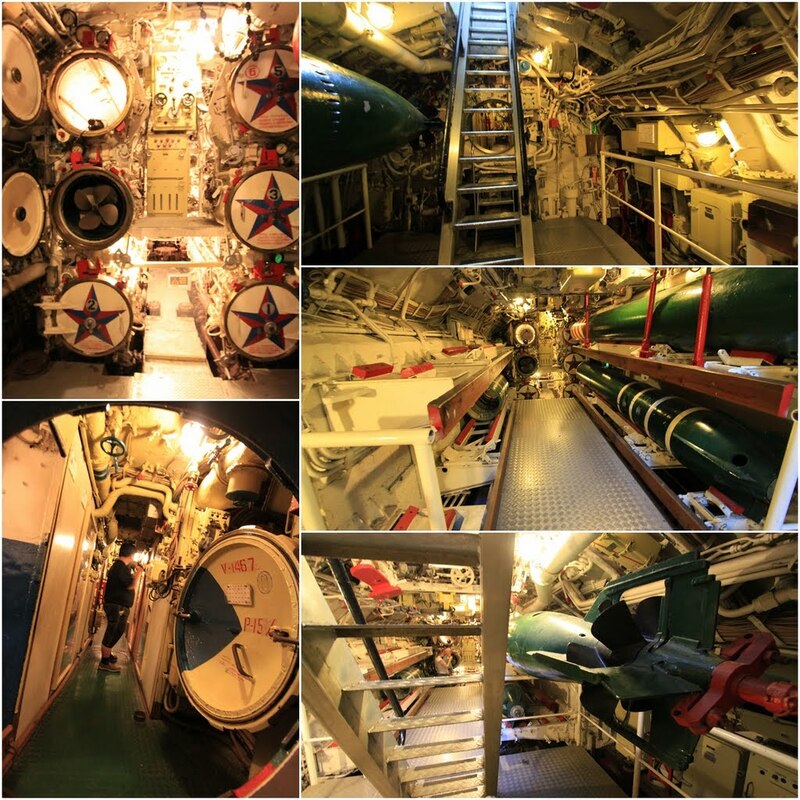 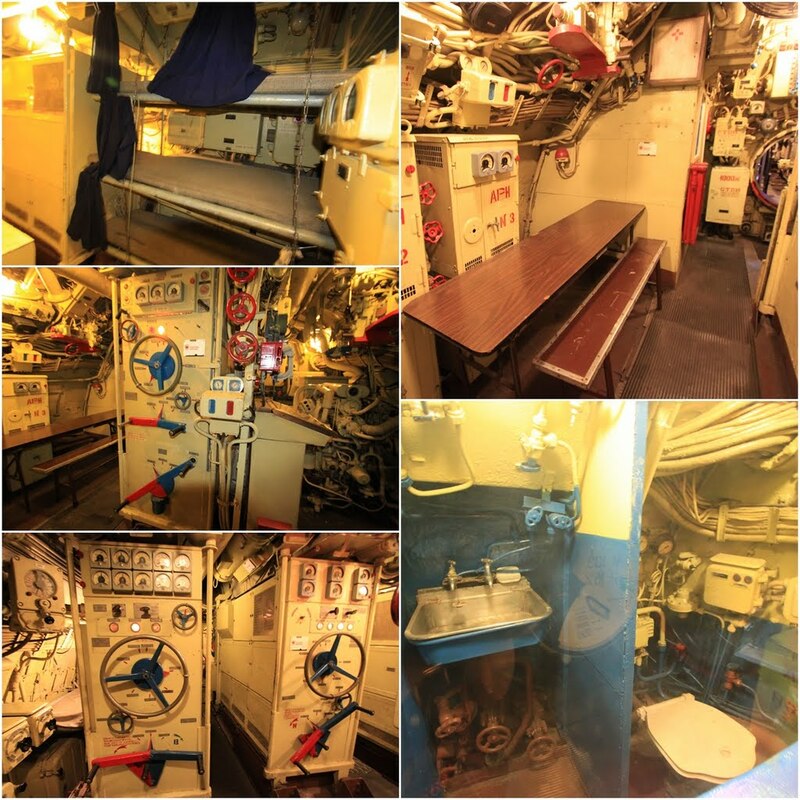 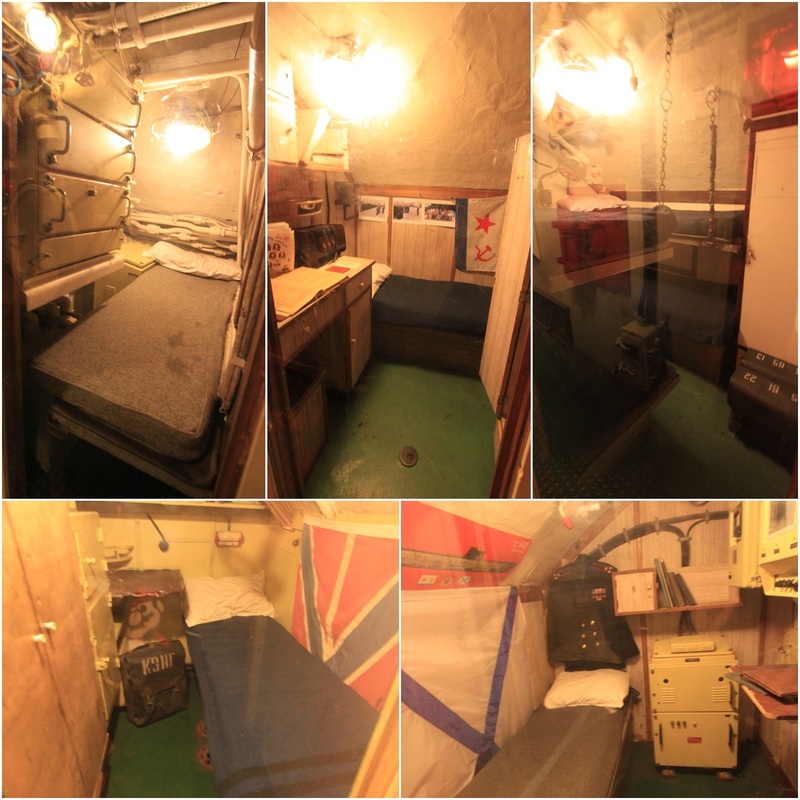 The Russian Scorpion Submarine has converted into the museum vessel to attract the visitors to visit and know more about the Cold War Warrior. Currently, the Scorpion Submarine is parked next to the legendary and haunted Queen Mary's Cruise Ship at Long Beach in Los Angeles. 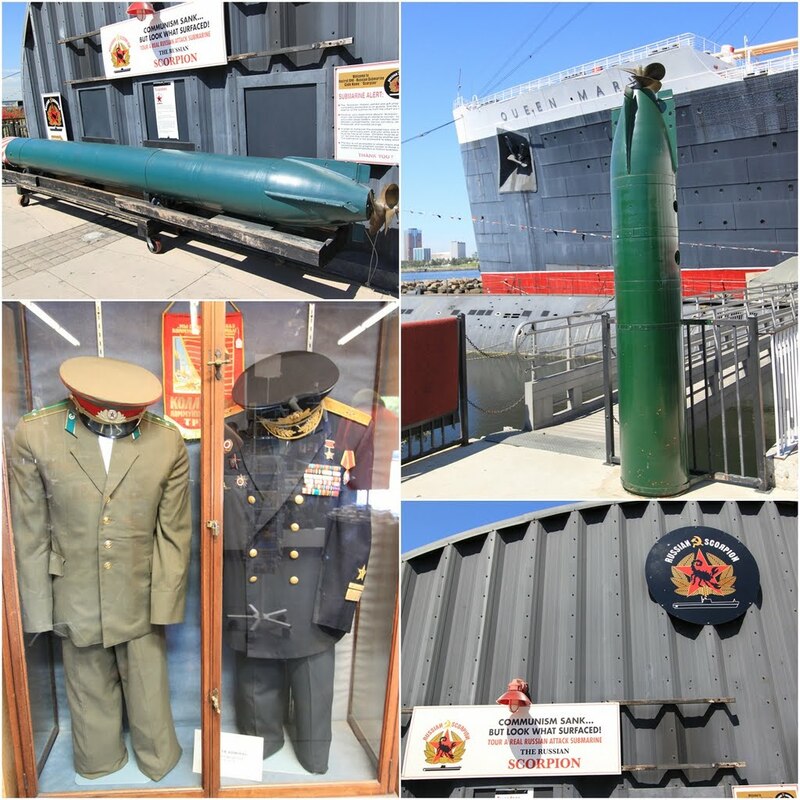 The ticket costs at US$10.95 per person. 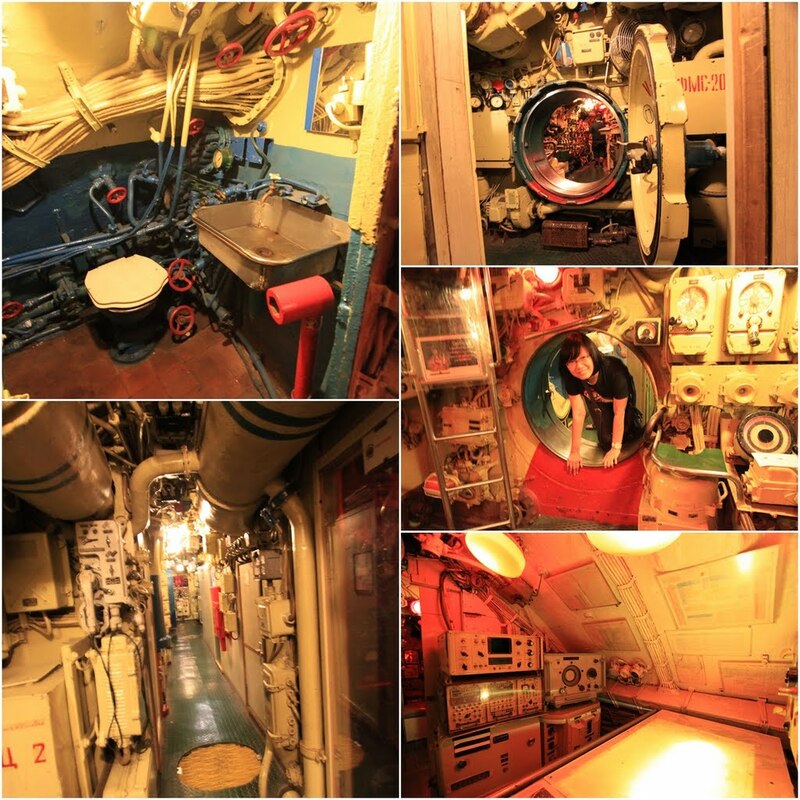 The whole self-guided tour of the Scorpion Submarine takes about 30 minutes, which is cheaper than taking a tour to Queen Mary's Cruise Ship with limited access to visit. 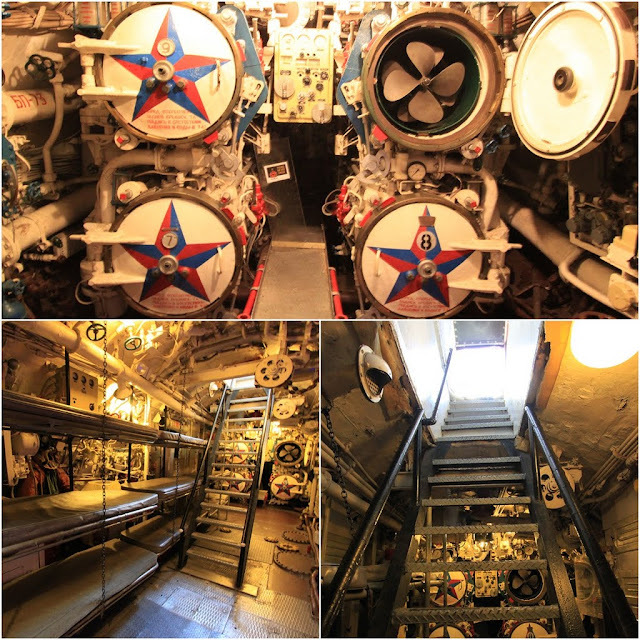 It's strongly advisable to put on pants with your flat and comfortable shoes as you have to walk through the steep stairs and climb through the subs or circular holes on the walls. 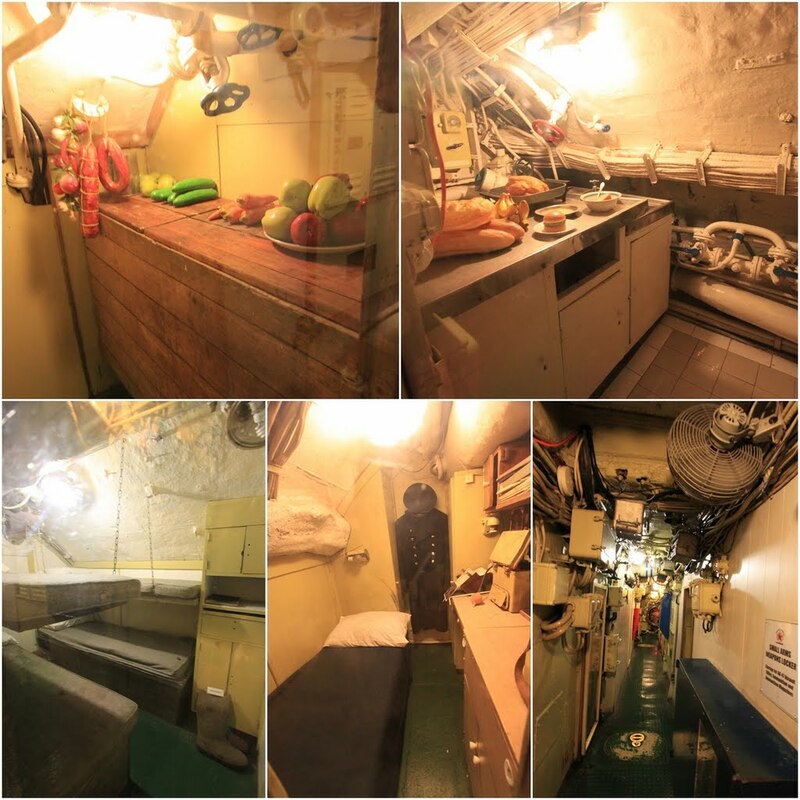 It's a narrow and cramped crew quarters so you must look out for the pipes and wires above your head. For more information of the Russian Scorpion Submarine tour, please visit this official website here.